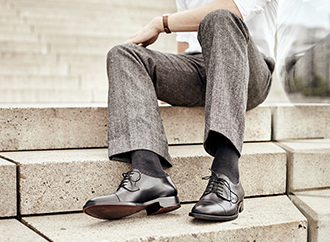 We would be happy to assist you with editorial questions related to Heinrich Dinkelacker, our handcrafted men’s shoe collection as well as our sophisticated shoe accessories. If you are interested in preparing a publication about our products, we can also readily provide you with image and text material that is ready to print. You can find a selection of interesting reports about Heinrich Dinkelacker in our regularly updated international Press section. These articles are available for download as PDFs.